Integrating callback with Google Analytics through Tag Manager. How to embed chat on Allegro auction / eBay? How to launch Callback in online shops and websites? 2. Having completed the registration, you will be automatically transferred to the "Account Settings". Here you should complete missing data consultant of and upload a photo that will display to clients in the form of an avatar. 3. 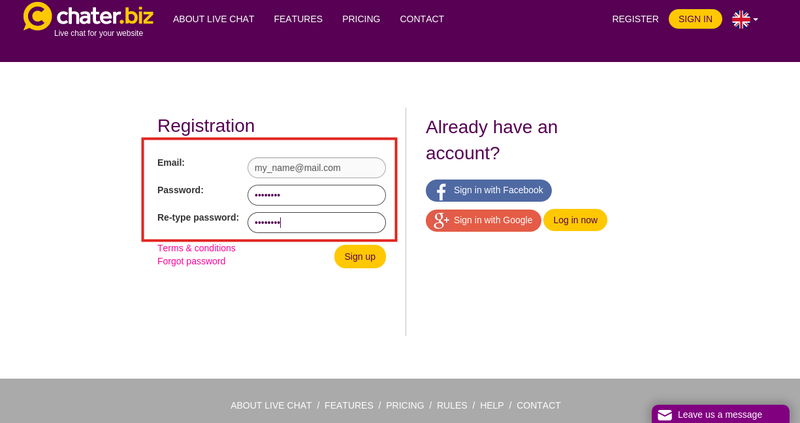 After saving the changes, you will be automatically redirected to 'Chat settings'. 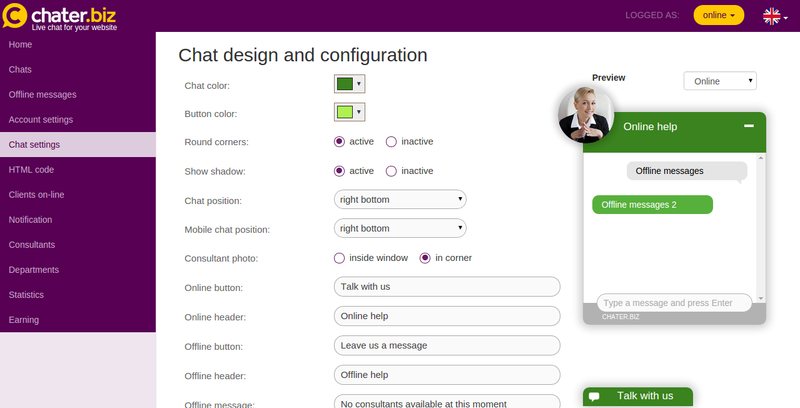 Here you define the appearance of our chat - adjust color and decide on the content of messages displayed in the chat window. 4. After saving the changes, you will be redirected to the page "HTML code chat". On this page you will find a script that is enough just to copy and paste to your website in the HEAD section. After posting code on the page, you can already use instant messaging.